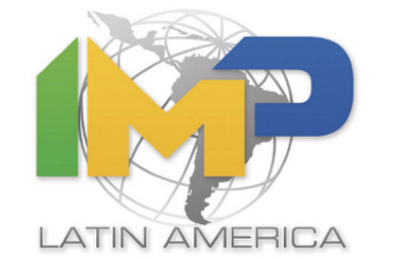 IPT - Latin America and the world's premier PowerGen equipment source. IPT's expert buyers find and purchase the best available equipment in the industry. Our daily presence in the marketplace provides us an acute awareness of product availability and current value. Available product inventory includes both owned and shared equipment. IPT sells power generation equipment utilizing the most modern technology and marketing distribution channels. Our dynamic supply chain provides immediate access to products specific to customer needs. Products for sale are offered from our owned inventory and vendor network. IPT offers short-term and long-term rentals, domestically & internationally, from our equipment rental fleet. Every rental solution is tailored to our customer's specific needs, required time-frame, and precise application. Access to rental items comes from owned inventory and trading partners. IPT is a global source of new and used power generation equipment with specific expertise in the Latin American market. Uniquely positioned within the new and used power generation equipment industry, International Power Traders offers retail and resale markets a single source for all of their varying power needs. IPT’s international influence as a buyer, seller and owner provides customers with timely global access to power generation equipment that satisfies their unique local needs. This presence is highlighted not only in the diversity of products, but also in the depth of manufacturers offered. Globally leveraged as an active buyer, seller and owner, provides IPT with unique access to products from a dynamic worldwide supply chain. IPT's active participation in the market on a daily basis ensures insight into both the availability of specific equipment and its current fair market value. Customers are able to select from both a depth and range of manufactures that translates into equipment appropriate to their specific applications. This portfolio includes products from CAT, Cummins, Detroit Diesel, Deutz, GE, Jenbacher, Kohler, MAK, Multiquip, Perkins, Wartsila, Waukesha, and others. Equipment is housed at IPT's own sites, collocations, and independent facilities domestically and internationally, providing clients in the back-up power, marine, mining, oil & gas, and other industries with products that meet their individual needs and budgetary limitations in a timely manner.